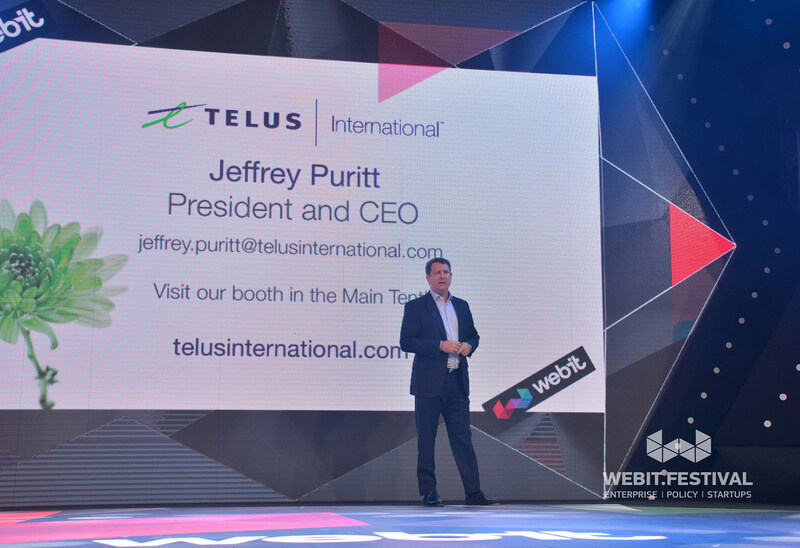 The President and CEO of TELUS International Jeffrey Puritt. In the information age we live in, keeping your business in a very close relationship with its customers or clients the most important premise for success. And if you don’t believe in this way of doing business, you better start to, because it is one of the driving forces that fueled the expansion of a company, valued at more than $1 billion. 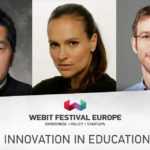 The President and CEO of TELUS International Jeffrey Puritt was among the top speakers at this year’s Webit.Festival Europe – the premier digital and tech festival in the region. His opening keynote gave our guests a glimpse in the management processes in a global company with more than 25 000 employees and its communication with the customers. 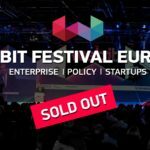 On April 25-26 the event gathered in Sofia more than 5100 attendees coming from over 90 countries. 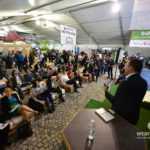 Among them were policy makers, innovators, entrepreneurs, investors, scientists and experts fascinated by technology and fostering the digital transformation in the business and the society. For the last 15 months the management of TELUS increased the customer satisfaction from 74% to nearly 91%, while the clients of the company registered increased profitability and revenues. According to Mr. Puritt, the main reason for this is a world class customer service and a corporate culture, that engages and inspires all the team members of the company. In an age of automation and upcoming AI revolution, TELUS is investing in its employees while continuing to embrace the latest high-tech approaches to the customer service. The CEO is sure that in this specific field, the future of AI is focused on supporting, not replacing humans. And the reason for this is that there are many things we can do better than machines. Jeffrey Puritt said that when society progresses we often turn to technology over a human touch. But replacing human interaction, such as live agents, with chatbots and computer programs gives the consumer the feeling of losing touch with the company. “Technology is making increasingly hard for brands to keep this important connection with consumers. A recent study found that 83% of consumers prefer dealing with human beings over digital channels when it comes to solving their issues. We need to become more thoughtful and deliberate in the way we are using technology”, he suggests. Right now the AI systems still have their limitations. Machine learning requires huge volumes of past data, while humans don’t. A recent study showed that despite of the automation processes that are going on, the number of support agents worldwide will increase with between 10% and 50% by 2020. “Not only will we need new agents, but a higher skilled agents who can solve more complex customer problems. More than ever now the customer service agents are the key to providing a world class brand experience”, Puritt said. As the science of the customer experience continues to evolve with new technology the need to provide a high-touch experience to truly win the hearts and minds of consumer grows. But the foundation for this is building an exceptional employee experience. 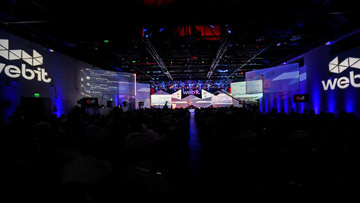 In his opening keynote Jeffrey Puritt spoke about several other topics, such as using omnichannel approach for building customer loyalty and better connection with clients and reaping the benefits of Big Data analytics for creating a better customer experience. Soon you will be able to see his full presentation on our YouTube channel.